Perhaps you've driven by the airport and wondered why airplanes land a certain direction one day and the opposite direction another day. It's an excellent observation and the answer is in the wind. Airplanes always take off and land into the wind. If a warm south wind is blowing across D/FW International Airport, airplanes will line up on the north end of the runway and point south in order to take off into the wind. The same is true for landing. Airplanes will approach from the north — over Grapevine Lake or Lewisville — and land pointing south. When the wind switches direction to the north, like it did Thursday morning, it's the opposite. Planes will approach from the south and land pointing north into the wind. The scientific principle in place is this: When a plane takes off into the wind, it achieves lift faster as the wind blows over the wings. As for landings, the wind helps to slow the plane, especially when the flaps are extended. 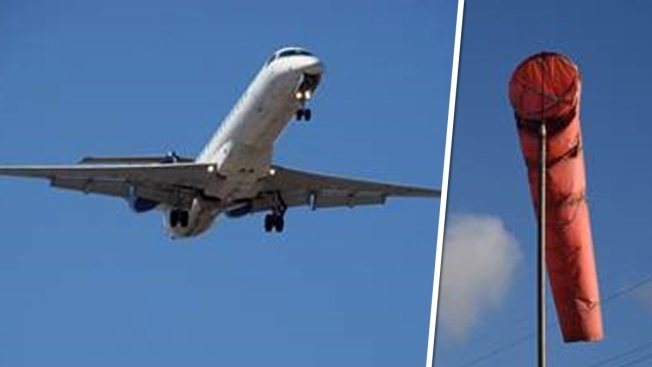 Potential problems arise when gusty winds blow perpendicular to the runway, which is called a "crosswind." In some cases, if a crosswind is too strong, 40 or 50 mph, air traffic may be diverted to another airport for safer conditions. It's quite rare, though, for crosswinds to be that strong. Airport runways are intentionally designed to minimize strong crosswinds. Runways are always planned in alignment with the prevailing wind direction for that location in mind. Most runways in North Texas are aligned north to south with a secondary runway from northwest to southeast. These runway alignments are ideal for 90 to 95 percent of our North Texas weather.